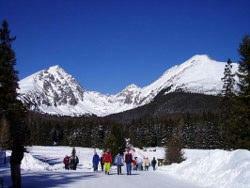 The High Tatras is a mountaing range, located in the north of Slovakia. 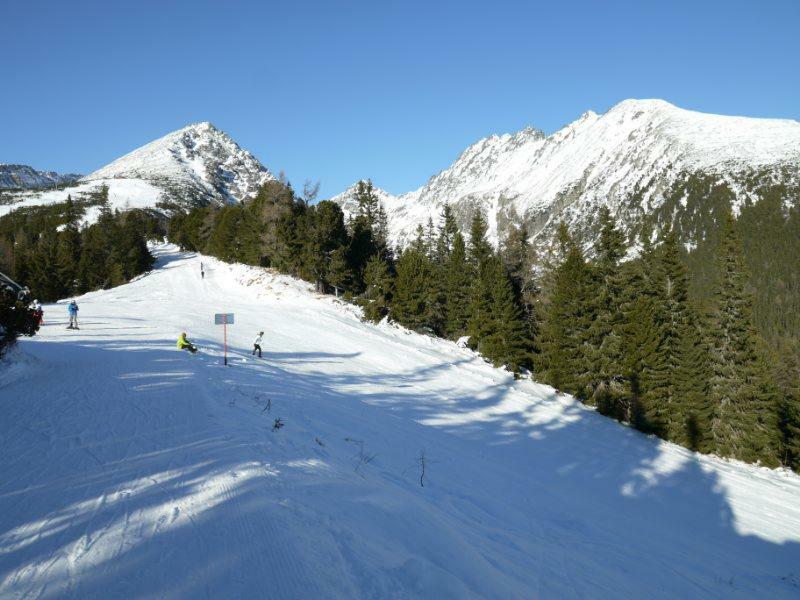 If you want to spend your winter holiday skiing all the day on ski slopes and relaxing in the evenings, the High Tatras are the perfect choice for this winter. Ski resorts in the High Tatras provide modern ski lifts and well maintained ski slopes, as well as services just on the slopes. You will enjoy numerous ski resorts, perfect accommodation, high-quality services and restaurants, pampering you during your stay in this famous ski destination. Winter season, starting in November and finishing in May, is long enough to come and enjoy various winter sports - skiing, snowboarding, cross-country skiing, sledging, etc. Services provided in ski resorts span from accommodation, wellness, ski rental and restaurants and are for low prices. Using local discount card "TATRY-Card", you can even obtain discounts when paying for selected services. To get to the High Tatras, there are several means of transportation - by car, bus, train or even by plane. The nearest international airport Poprad is available in a few kilometres in Poprad. 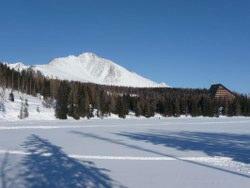 Transportation between ski resorts is available by ski bus or local trains, operating in short periods all year round. When looking for an accommodation for your ski holidays, you are welcome in our chalet. 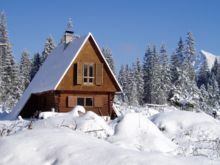 The chalet is located in the High Tatras, providing an accommodation for 6 persons. There are two sleeping rooms, guest room with a fireplace and a kitchen.